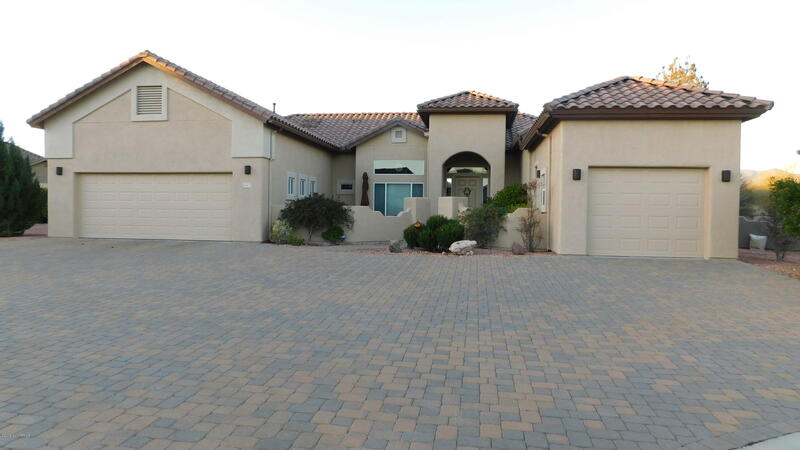 3 CAR GARAGE- one out of 6 homes out of approximately 100 homes in La Privada, a gated, golf course community. Located at the end of a cul-de-sac with an extra large lot. Split, open plan with 12ft ceilings. Granite countertops in kitchen with large island. Living room has many niches and floor to ceiling stone, gas fireplace. The master suite is 14x22, has 2 walk-in closets and has a huge bath with separate tub and shower. The 2 car garage is oversized with a massive paver driveway. Just painted inside and out in 2016 and new carpet throughout in 2018. Move in ready.